Kurumazushi in Midtown is probably one of the most expensive sushi bars that you have never heard of. The good news is that lunch time there is much more affordable. I love their sashimi lunch special, consisting of 3 pieces of 4 types of sashimi with a side of rice and miso soup. To supplement the meal, I order the negi toro. 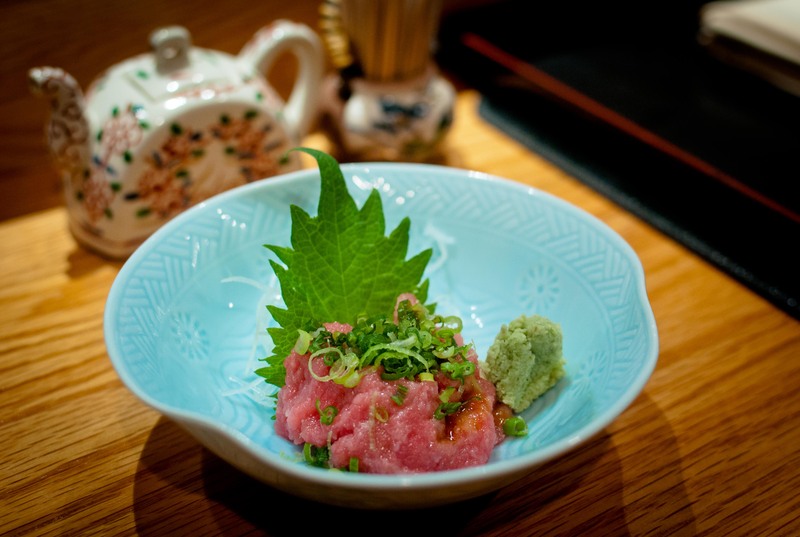 Finely chopped tuna belly is served with scallions – so fatty and decadent yet incredibly light – a lovely start to lunch.